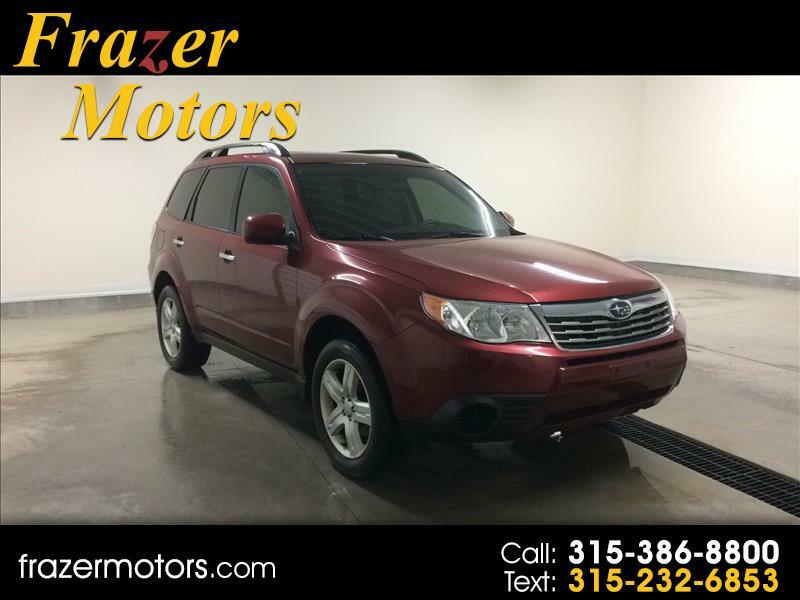 **2010 Subaru Forester 2.5X Premium** ALL WHEEL DRIVE. SUNROOF. LUGGAGE/ROOF RACK. POWER SEAT. AUXILIARY PORT. ONE OWNER! Rated 4.2 out of 5 stars on Kelley Blue Book.com. The 2010 Subaru Forester 2.5X Premium is known for its roomy cabin, ample cargo space, and comfortable ride. Come on in and take it for spin today! Here at Frazer Motors we're confident in the quality of our vehicles, which is why each one comes with a FREE 6 Month/6,000 Mile Warranty!